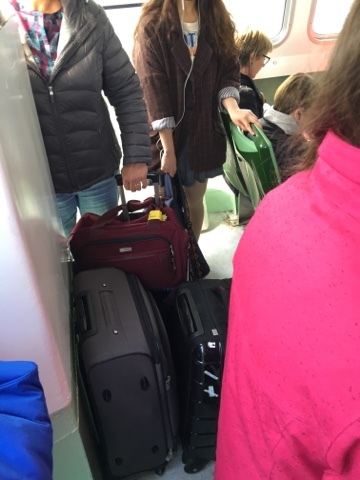 Yes, it's another travel day. 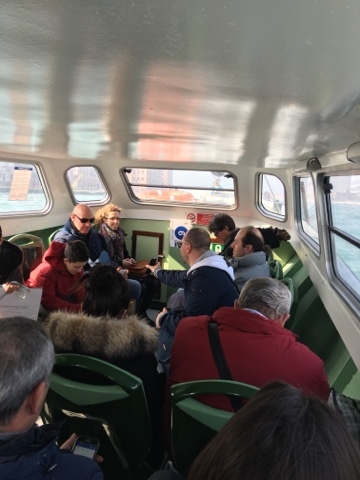 After one final buffet breakfast at the Hilton Molino Stucky, we catch the right vaporetto at the Palanca stop, squeeze down into the forward compartment with our luggage as directed by an employee, and enjoy a final scenic boat ride to the train station. 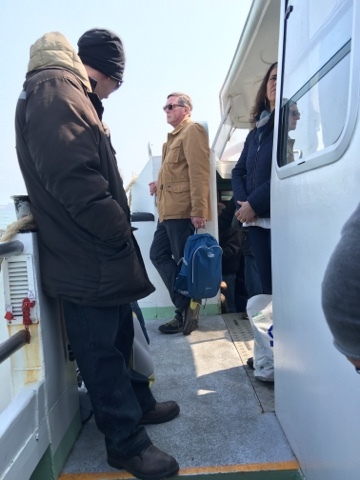 For us the 48-hour vaporetto pass at 30 Euros each was a relative bargain, since it's an extortionate seven Euros for each individual trip. 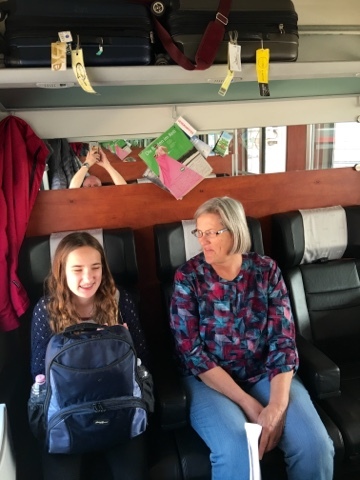 We departed from Venice about 44 hours after we arrived, and squeezed in quite a few rides, including one all the way to Murano Island yesterday so Taegan could watch a glass blower at work. 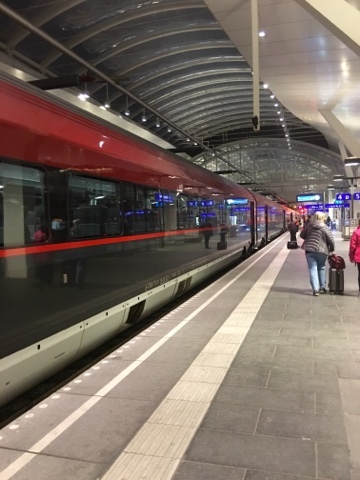 We're all aboard a Munich-bound train when it departs punctually at 1:50 pm. 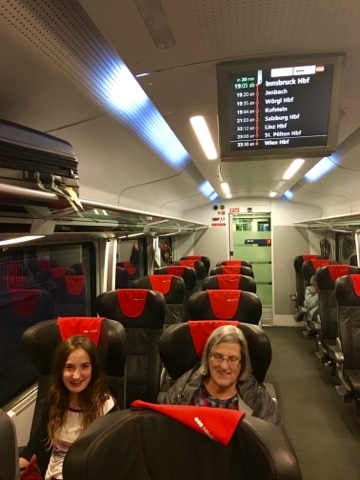 We're snug with three pleasant companions in a six-person compartment that will carry us as far as Innsbruck, Austria, where we transfer to a Vienna-bound train that will deposit us in Salzburg. 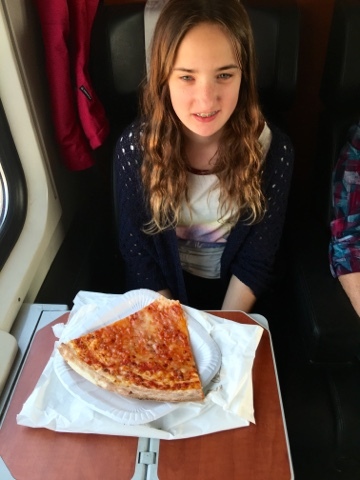 Taegan savors one last slice of Pizza Margherita that we picked up in the station. 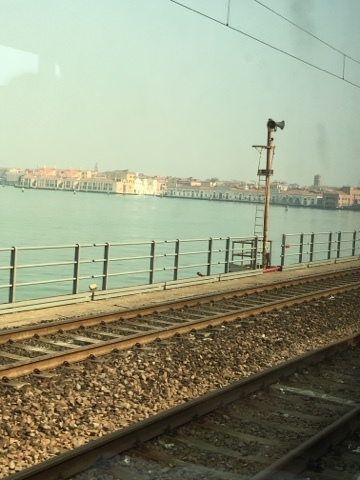 We leave Venice as we entered it, across the causeway. 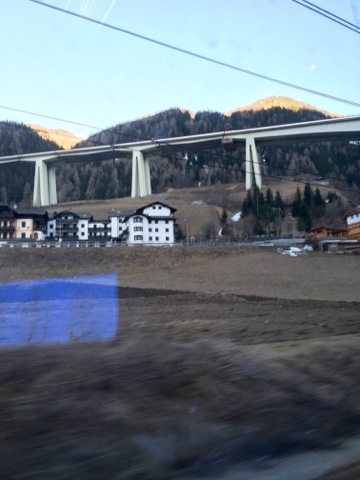 We see beautiful scenery reminiscent of British Columbia and Washington State mountain passes (we do live in a beautiful part of the world) and eventually start twisting and climbing our way up the Brenner Pass toward the Italian-Austrian border. 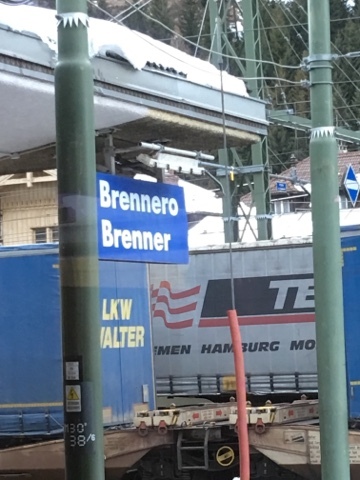 We spend some time parked at the Brenner Pass station. 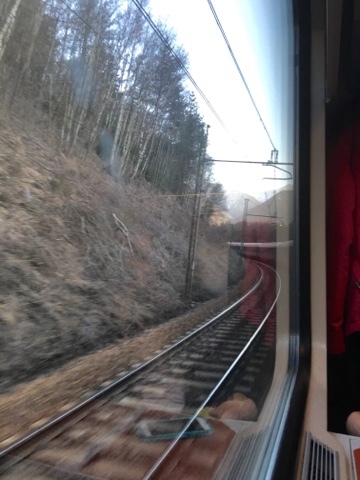 Our congenial German seat mate informs us that the authorities are searching for refugees. 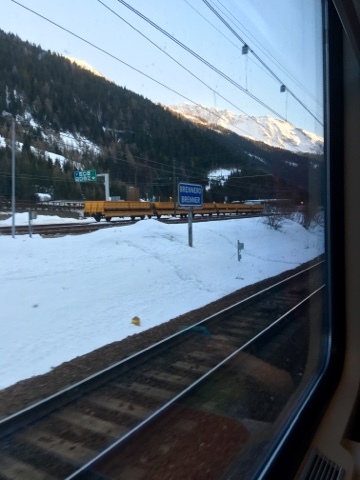 The second train, parked conveniently across the platform from our arriving train at the Innsbruck station, is even nicer than the first - and deserted! 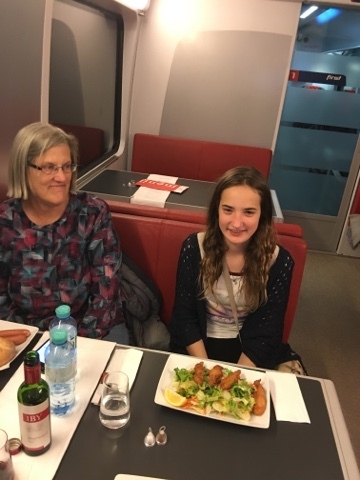 We could have had meals served at our seats, but to choose to stroll to the adjacent "Henry" dining car and fully enjoy the experience. 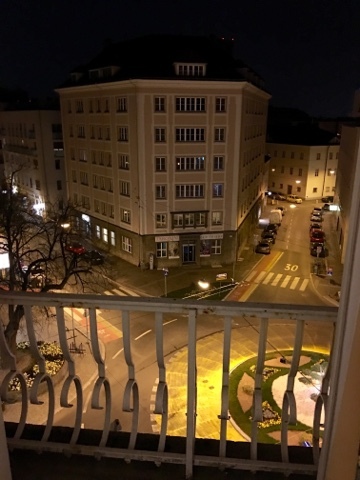 We arrive in Salzburg right on time at 9:03 pm. 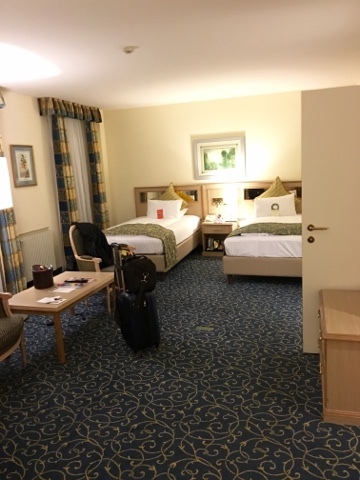 An easy eight-minute walk from the Hauptbahnhof and we check in to the Crowne Plaza, a roomy two-bedroom suite with two bathrooms and a view from the balcony, a rewarding end to our travel day.